Compiled by dr. Jan Skvaril. 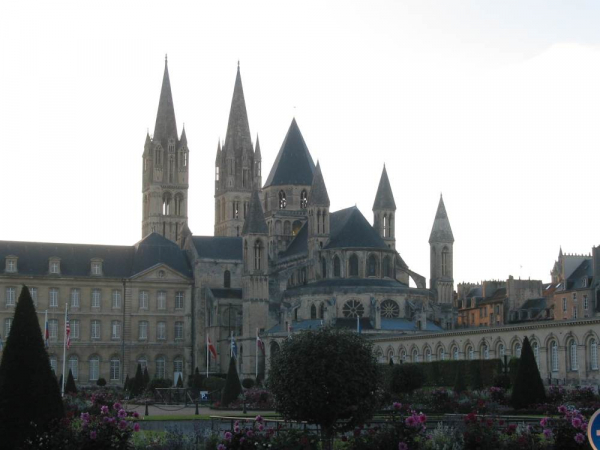 Since its foundation by William the Conqueror in 1066 (who was buried in the presbytery of the church) the "Abbaye aux Hommes" was the center of the education for the whole region and center of the musical life. It is very likely that since the very beginnings, the ceremonies were accompanied by organ. The chronicles mention the organ for the first time in the 14th century, however this instrument was destroyed by the Hugenots (1562) and not until 200 years later was it replaced. The builders of the new instrument were brothers Lefevre from Rouen. They enjoyed a similar reputation as their contemporaries Cliquot, Isnard or Moucherel. Master carpenter Gouy from Rouen built a monumental oak organ casework adorned by two Herculean statues, which support the pedal towers. The consecrating ceremony was on February 10, 1745. The organ had over 4000 pipes, 60 registers, 5 keyboards (three of them with 53 tones) and for that time unusual pedal board comprising 30 keys and 13 registers (including double trompette and clarion). The instrument survived without much harm during the revolutionary rampages. 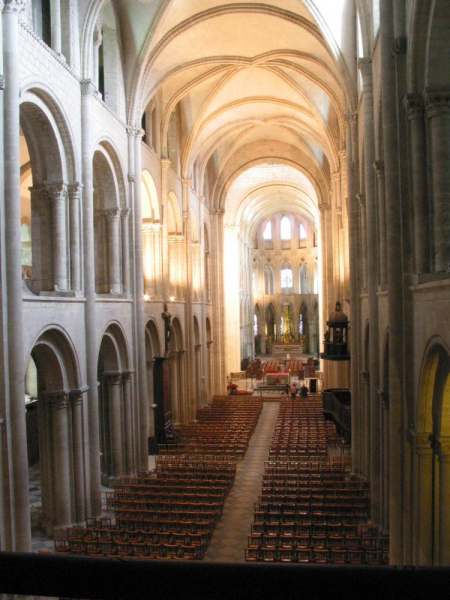 Just like with the organ in St. Maximin, playing Marseillaise at the right time was helpful in saving the organ. However, by the mid 19th century, the organ was practically unplayable due to its poor maintenance, its sheer size and mechanical complexity. Even a comprehensive reconstruction by Verschneider (1859-1863) did not help to change the sad situation. This led to the decision to obtain a new organ utilizing the perfectly preserved Gouy's casework still valued at 60 000 francs. The negotiation with Aristide Cavaillé-Coll started in 1882 and he submitted 3 proposals: cleaning, repair of pipes and mechanical parts (8 850 Fr), or the same as before plus new mechanical parts with a pneumatic tracker action (15 600 Fr) or a complete new organ with the most modern design (60 000 Fr). The agreement for a new instrument for 70 000 Fr was signed by Abbé Bréard and Cavaillé-Coll on April 6, 1882. Abbé Bréard contributed 30 000 Fr himself and parish collections covered the rest. Collaboration of Cavaillé-Coll with the church titulary organist Jules Marie and Alexander Guilmant led to the organ disposition outline. Jules Marie also wrote an official assessment of the previous historic organ. Josef Koenig, who also repaired the casework, succeeded the main intonator, Felix Reinsburg, in the final work. Also Charles Mutin, later a successor to Cavaillé-Coll, collaborated on the work. Alexander Guilmant inaugurated the organ in ceremony on March 3, 1885, in the presence of Cavaillé-Coll. Despite unanimous recognition given to the new instrument, comments sprung up that the new organ sound was weak and indistinctive. Eventually, Cavaillé-Coll heard the comments and was astonished. He sent out a renowned organ expert, Philbert, to find out more. He discovered that the presence of a large audience can dramatically change the acoustics of the church. The old, sharply intonated, monumental organ with numerous mutation voices was replaced with a Romantic, symphonic instrument to which the parishioners and listeners were simply not prepared. The controversy quieted down over time and was forgotten. Josef Koenig, and his son Paul-Marie maintained the instrument until 1944. Electric power replaced the work of 4 calcants in 1928. 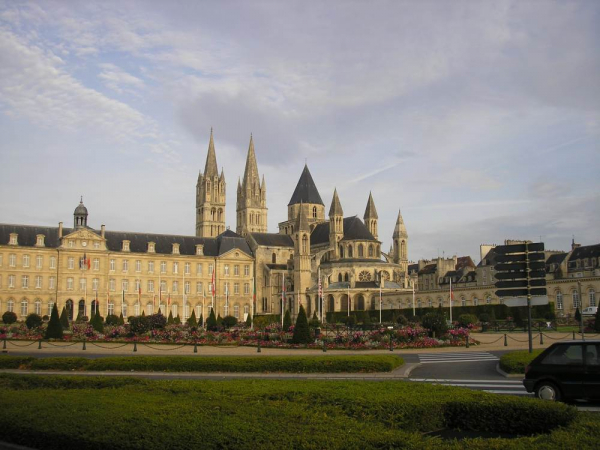 Caen was heavily damaged during World War II, but by a miracle, the St. Etienne abbey was saved. Still, reconstruction of the organ was needed, which was performed by Jacquot-Lavergne company without substantial changes. The one exception was (by suggestion of Marcel Dupre) the addition of a mixture (Plein Jeu IV) in Recit. However, later in 1999 the register was once again removed. The last substantial reconstruction was finished in 2001 and returned the organ to its original form of 1885. Since 1975, the organ is listed as a national cultural heritage. The last name Cavaille-Coll appeared for the first time in the birth record register on February 12, 1767, the wedding day of Jean-Pierre Cavaille and Maria-Francesca Coll, a daughter of a weaver and sail maker from Barcelona. Their first-born son Dominique was born in 1771. It was he who later became the father of Vincent (1808) and Aristide (February 3, 1811 in Montpellier). The craft of organ building had a long tradition in this family. Already Jean-Pierre's uncle Joseph was an organ builder and taught the craft to his nephew. Jean-Pierre remarried after Marie-Francesca's death in 1780 and Dominique's half-brother Martin Cavaillé-Coll was born of this second marriage and became an organ builder. Dominique's sons Vincent and Aristide were the culmination of the family organ building tradition. The family moved frequently between France and Spain but in the end settled down in Toulouse. Aristide, endowed with musical and technical talents, received quality polytechnic education and met with significant personalities that influenced him positively (Jean-Pierre Boisgiraud, Félix Borel). Together with his brother Vincent, they accompanied their father on his assignments and reconstructions. One can say Aristide had life-long luck by meeting the right contacts at the right time from circles of economical, political and trade life. In 1832, the father and sons invented a successful, technically innovative musical instrument (poikilorgue), which received support not only from the composer Rossini, but also from the Minister Thiers. This resulted in the decision to undertake a journey to Paris in 1833, where the family resettled and began their organ building trade. The beginnings were difficult, despite the goodwill obtained through the work on the organ of St. Denis and financial support of music-loving yet pragmatic banker Henri Place. The wedding of Aristide and Adele Blanc played a positive role through the contacts of his brother-in-law Hippolyte, a well-informed civil servant. The workshop moved around several times. The company life was marred by the separation with Vincent and later by the death of Dominique (1862). Shortly after the workshop relocated to a definite and satisfactory location on 15 Avenue du Maine, Adele died, leaving Aristide a widower. Despite these setbacks, Cavaille-Coll continued his work with vigor. In the middle of his workshop, there was a former dancehall, which he changed into an exposition hall. Young organists (Gigout, Vierné, Dupre) visited to try out the showcased instruments. Frequently, Cavaille Coll milled around, giving advice about registration, and saying, "...just make music reflecting natural human intellect, which is so rare." Cavaille-Coll, frequently depicted in black velvet toque designed according to a Holbein portrait, was quite authoritative and had a distinctive personality. He remained conservative in his endeavors. He despised business changes and the evolution of the capitalistic monetary system. He didn't like shareholding, despite officially forming several companies. However, he kept his ultimate signature rights and decision making close to his chest. The family never fell into poverty, but the economics of his trade was at times complicated, despite broad support of powerful individuals and the good name he made for himself. He never wanted to cheapen the quality of his performed work, building not only classical church organs but also his popular poikilorgues and small instruments for schools, institutions and households. Altogether, he made 11 loans and mortgages, covered by his workshop, tools, and even personal belongings that included the house he lived in. He had difficulties meeting the terms at times. Aristide valued Gabriel Reinsburg as his top intoner and made him his partner and manager of the workshop on 15 Avenue du Maine. After Gabriel's death in 1891, economic troubles set in and one year later, at the request of his family and by the decision of the court, the workshop was auctioned to satisfy the debts. Emile Cholet, a rich merchant from Orleans, recognized the importance of Cavaille-Coll. He bought the complete workshop and rented it to Aristide for a symbolic fee. Cavaille-Coll had to leave the family house and spent the last year of his life with his daughter on 21 rue du Vieux-Colombier. It was a fateful decision for Aristide to spurn ideas of his technically gifted son Gabriel, who pushed for more electric innovations in the organ building, and after being rejected left for Spain to become a mine engineer. Paradoxically, Aristide turned to those ideas on his last grand organ in Rouen. By losing Gabriel, Aristide missed the last opportunity to educate a successor for his company. Just one year before his death, he sold the company to Charles Mutin who had worked for him the previous 10 years. Aristide Cavaille-Coll died suddenly on October 13, 1899. Charles Mutin said the funeral eulogy on October 16th at the Montparnasse cemetery. Mutin continued his work in the tradition of Cavaille-Coll, but his successor Auguste Convers set a new course in 1924 when he took over the company. He designated Cavaille-Coll as a mediocre musician who built instruments to fit the limited artistic requirements of Frank or Widor. Convers promoted the reintroduction of multiple mutation registers and electric parts. He built several interesting instruments, but mostly he produced low-quality factory made instruments with unreliable electric tracker action systems. The economic crisis of 1929 was detrimental to the life of the company. This led to fusion of the financially failing remnants of the company with the firm Pleyel and later to its demise. Aristide Cavaille-Coll designed the concept of the symphonic organ. He mastered the classic organ building craft and was technically versatilely gifted. In many aspects, he stayed conservative and held on time attested approaches. On the other hand he was not afraid to experiment and introduce new inventions. Soon after arrival in Paris, he succeeded in the competition to build the new organ for the St. Denis basilica. He reportedly was done with the successful design in just two days. The work progress was slow however, especially with the troublesome tracker action. To his luck, Aristide met with Charles Barker in Paris, who improved Hamilton's invention of the pneumatic lever, which after touching the key, opens air entry into a pneumatic motor, filling air into wedge bellows manipulating tracker action or other devices. This lever, multiplying the force of fingers applied on the keyboard, allowing for the development of larger, more powerful organs still responsive to the human hand with more registers, couplers and combinations than was possible before. 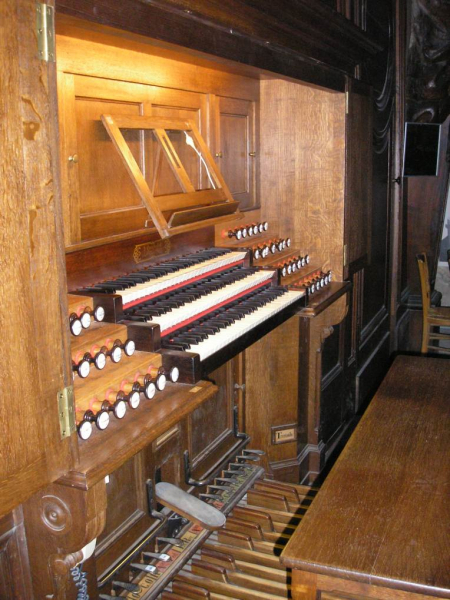 Also, the organ console could be built detached from the main organ. Cavaille-Coll immediately recognized the importance of this invention for organ building. The instrument in St. Denis basilica was finalized in 1841 and was met with tremendous success. It became the fashion to hold private concerts there featuring prominent musicians with invited guests from political and economic circles. Only 30 years old, Aristide was awarded a Societe d' Arts silver medal "...for the improvements he introduced to the organ building as exemplified in the royal church St. Denis." It's of interest to note that Charles Barker later deserted and joined another organ builder Dublaine et Callinet and together they built a monumental organ for St. Eustache church in 1844. By a turn of unfortunate events, during repair work on the organ, Barker jolted a lighted candle that fell into the St Eustache instrument when it was only six months old and the fire destroyed it. This ultimately led to the bankruptcy of the firm. Cavaille-Coll recognized the importance of different air pressure needed for different registers. He divided therefore the airchest in 2 sections: one for labial and and wide mouth pipe voices (jeux de fonds), and the other one for narrow mouth pipe voices, mutations, mixtures and reeds (jeux de combinaison). Each sections had a separate air supply with its specific air pressure. In this way, “air stealing” phenomenon between these two groups was avoided. A simple foot lever (appels) above the pedalboard enabled joining the windchests. 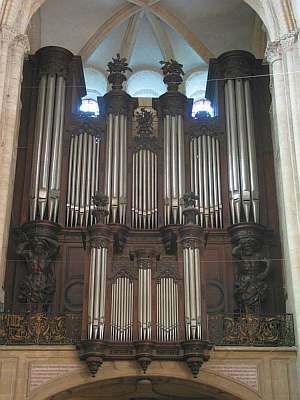 Principals are acoustically diverse due to various pipe mouth width in the English organ building way.By combining four diverse basic voices (montre, flute, bourdon, gambe) in the 8' position, the Romantic symphonic acoustic ideal was achieved. The registers in pedal are plentiful, usually also with solo voices. 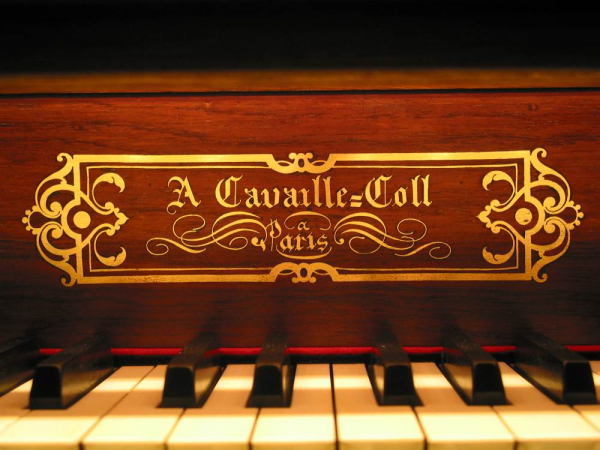 Cavaille-Coll built over 600 organs. He built not only large instruments for Paris and other French cities but also many smaller choir instruments, chamber organs and other instruments for school and institutions. During his time, it was fashionable to have an organ built even in homes. Especially in the early stage of his career, in addition to organs, Cavaille-Coll built so called poikilorgues, which were a type of reed instruments with the possibility of dynamic expression. 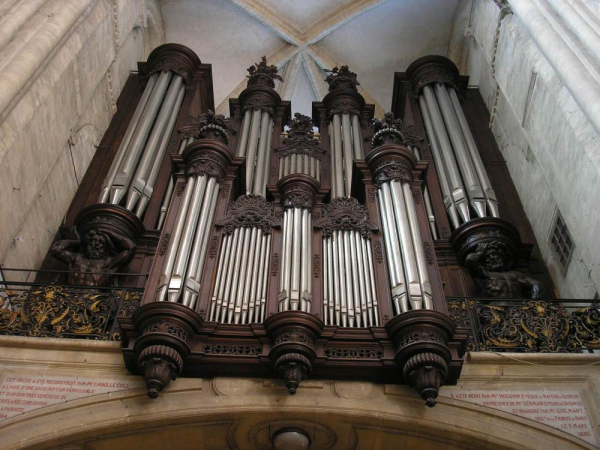 Besides the aforementioned instrument in St. Denis, it is necessary to refer to the organ in Ste. Clotilde basilica related to the work of Cesar Franck. 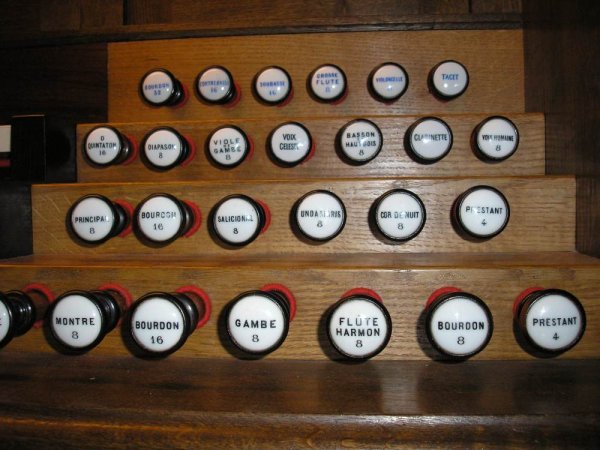 In 1863, a five manual organ for St. Sulpice was built (Widor, Dupre). More of his works can be found in Ste. Madeleine or Ste. Trinite. His most representative organ in Notre-Dame Cathedral in Paris was finished in 1868. Since that time it was rebuilt numerous times, electrified and equipped with a new console. He exhibited an extraordinary monumental organ at Trocadero Palace during the World Exhibition of 1878. It attracted the best organists which used it to play in a series of fourteen concerts. 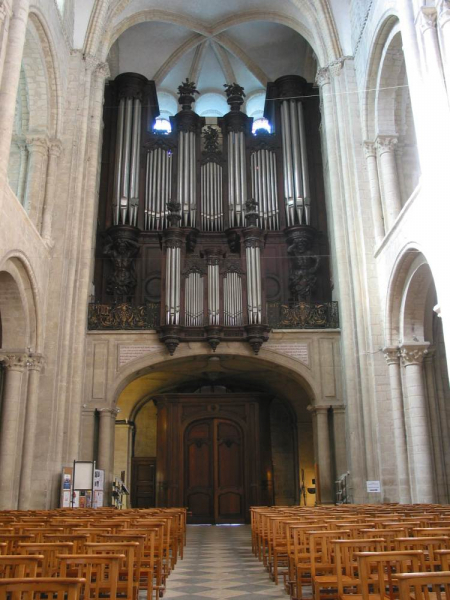 The organ of St. Etienne in Caen, preserved in its almost original form, was built in 1882 and later in 1890 the four manual organ was finished in Rouen. 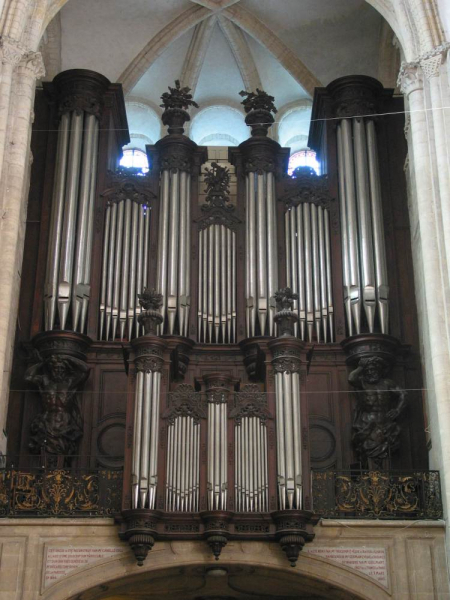 The lifelong dream of pious Cavaille-Coll was to build an organ for St. Peter in Rome. He designed and continually improved the concept which was presented to three popes. The work of Cavaille-Coll was known and appreciated in Rome, however, his dream never realized. And so, to this day, there is an indistinct organ not corresponding to its impressive location in the basilica. We are greatly endebted to Mr. Alain Bouvet, the titulaire of the Cavaillé-Coll instrument in Caen, for the support he gave us during the recording. We are grateful to Mr. Peter Bengtson for numerous suggestions during the development of this virtual instrument. The samples are available in 24-bit/48kHz resolution. Hauptwerk v4.0 and higher supported for the Organ Definition Files. Multiple release samples available: there are 3 release samples for the staccato, shorter and longer tones. The sample set is available in the version 2.5 (released in November 2013). The improvement over the previous version consists in a finer attack and release precision of the majority of the pipes. Also, the Contrebombarde 32 stop was revoiced to give more booming sound characteristic for A. Cavaille-Coll. The sample set is available in three versions: wet, surround and dry. Version 2.5 of the Caen sample set was released 13th November, 2013. There is audible audio improvement especially for the Récit, where the samples were newly processed using the latest dual channel tremulant technique to allow for better artificial tremulant behavior, the swell was newly designed to allow for more dynamic span, and the samples were additionally denoised to beat the majority of the remnants of the tracker noise. 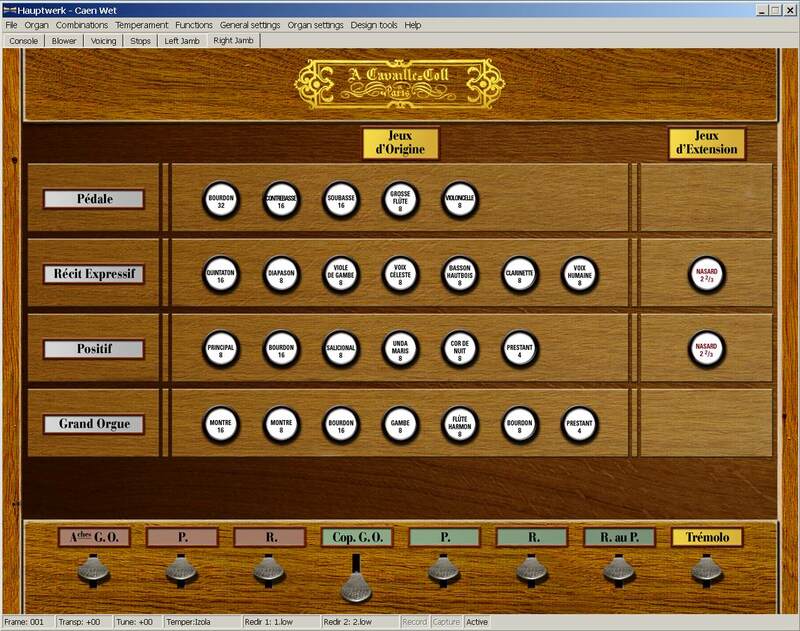 - The Extensions of the keyboards and the pedal work now also in the Original Organ Tuning. The manual extension was extended to the full 5 octaves (61 keys). - Added left and right pannels for stops, portrait screen orientation supported. - Simple stop jamb added. - Ranks divided into Front and Rear separately in the rank loading dialog for ease of orientation. - The overall release behavior improved. - Fine voicing improvements in attack as well as in release (noises, imperfect attacks, voicing precision). - The whole virtual instrument was newly tuned to make it less out of tune overall. - the internal wiring and the logic of the sample set components changed considerably and new ODF ID were assigned. Therefore, the combinations saved with the old version are invalid and do not work. All the combinations must be made again from scratch with the new version. - the MIDI files recorded with the older version of Caen work only to move the keys, but they do not affect the stops. -the internal ODF combination pistons were disabled. The combination functionality is now built-in into Hauptwerk itself. Please, use the Hauptwerk combination system for the purpose. The original manual compass was 56 keys, the Hauptwerk extension offers full 5 octaves (61 keys). The original pedal compass was 30 keys, the Hauptwerk extension offers 32 keys (C-g1). Recording with the original reverberation icluded. AB stereo recording technique was used to capture the sound of the instrument. Multiple releases supported for each sample. The reverberation time is about 5-7 seconds. However, the clarity of the church acoustics is unexpectedly high which makes the instrument stand out of the reverb very well. This version of the sample set is therefore well suitable for practicing music. RAM consumption: 24-bit, all loops, all releases, memory compression: 18 GB. Screen resolution: at least 1280x1024 px. While the traditional wet sample sets are composed of samples with 2 channels (left, right), the surround recording uses 4 independent channels for each virtual pipe (for each sample). Imagine standing in the church heading the organ. You hear the organ in front of you, but you also hear the reverberation of the church which is all around you, comming to your ears from all the directions. This is how the surround sample set is formed. The sound of the organ is captured by the "front" microphones, the church response by the "rear" microphones. 4 channels are extracted from the recording. Two channels are used to supply the sound of the organ for the front speakers, while the 2 other channels offer the diffused (reflected) sound comming to you from the church. You can use these two channels to feed your surround (rear) speakers. In this way, the realism of the reproduction is greately increased, since you may feel as being "inside" the sound field, experiencing not only left-right dimension of the sound, but also the front-back dimension. You hear the sound of the organ, but also the sound which returns to you from the church nave. Please note, that at least 4 speakers are needed to reproduce the multi-channel audio. Remember to set up the Hauptwerk audio outputs well to accomodate the four channels. The ranks which are designed for the rear channels are marked with the word "rear". HDD requirements: at least 37 GB of free space. The recording was done close to the pipes so it contains almost no reverberation. The samples were panned in the Hauptwerk ODF to make the spacial differences among divisions and pipes. This sample set may be used well in self-reverberant spaces (such as churches) or it may be mixed with the digital reverb. By the addition of digital reverb you can virtually "move" the organ into various spaces according to your need and your liking. 24-bit depth -- 7 GB while all loops, all releases and the memory compression enabled. The screen resolution of the virtual console is optimized for the 1280x1024 px. The stop jambs are available in two forms: optimized for a single touchscreen, and optimized for a dual touch screen. The dual stop jamb is offered in the landscape and in the portrait orientation. Are the G.O. stops not giving any sound? - do not forget to switch on the foot lever marked Cop. G.O. Do the stops with the red labels not give any sound? - do not forget to enable the foot levers marked by the red color. These are the appels for every manual and the pedal. What to do when I hear hiss, especially in the release tails? the samples were denoised perfectly. The hiss is emanating from the digital quantization at lower bit rates. Please, reload the sample set, adjusting all the ranks to 20- or at best 24-bit depth. The remaining noise is the blower noise. If you do not like it, then disable it in the rank adjustment dialog, or lower its volume using the user voicing tab of the sample set. Why does the swell pedal always return to the default position after I move my hardware pedal controller? The swell pedal is normally mapped automatically to the Hauptwerk virtual controller called "swell general pedal". This works well in many installations. However, in some cases, users report that their swell MIDI controller attaches automatically not to the Caen swell pedal, but to the Caen swell shutters - which causes the problem described. 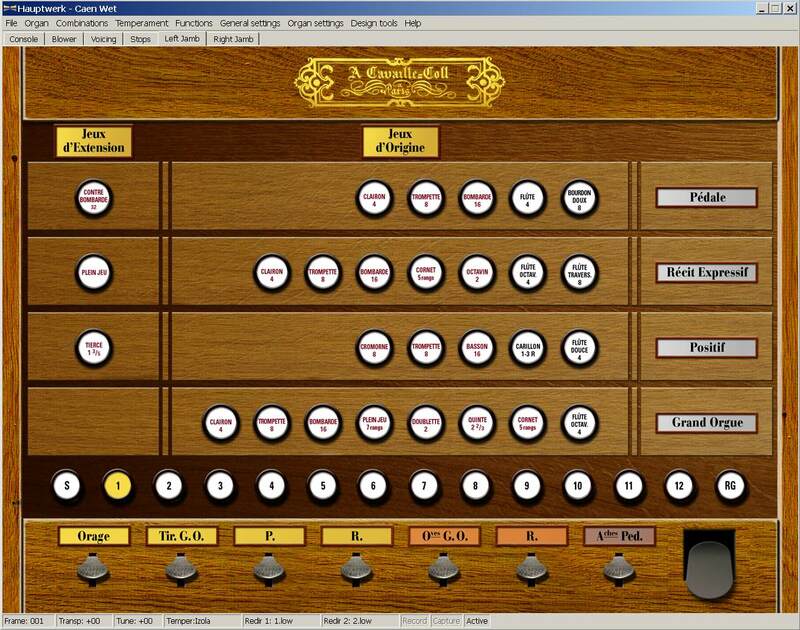 When the organ is loaded, please go to the Organ menu, open the continuous control dialog box (Connect Continuous Control MIDI inputes to Organ Continuous Controls) and there, on the left side, locate the Swell pedal entry (towards the end of the list) and on the right side of the dialog box attach your continuous controller (pedal) to this entry. Then, locate the Swell shutters entry and delete any continuous controller mapped to it. The configuration is done. Orage (a Thunder or a Drum - draws the lowest semitones in Pédale to sound simultaneously, giving strong storm-like subsonic beating effect). Récit is enclosed in a swell box.